Waste Management of the Inland Empire is a local division of the world's leading waste disposal company Waste Management Inc., offering unparalleled waste disposal services, serving over 220, 000 residents and disposing of over 17, 000 tons of waste on a weekly basis in the Inland Empire. The El Sobrante Landfill, located in Corona, is a state-of-the-art waste disposal facility that protects the environment and minimizes the impact to the local landscape. 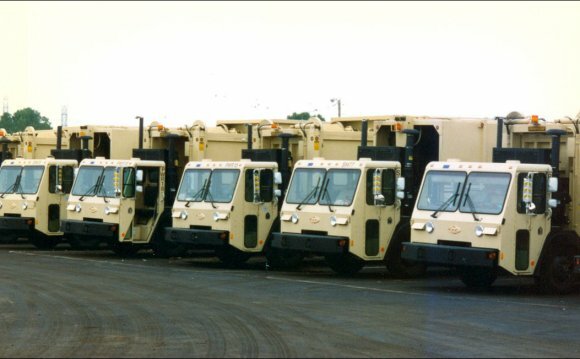 With a capacity to process up to 10, 000 tons of waste per day, it is an integral part of the Inland Empire's waste disposal system. Waste Management of the Inland Empire has placed over 600 acres of the landfill into a permanent habitat preserve and El Sobrante is one of six landfills nationwide to receive international recognition from the Wildlife Habitat Council for its outstanding environmental track record. View the 12 winners of our America Recycles Day Calendar Art Contest here! The contest challenged Moreno Valley 7th grade students to depict the theme “Give your Trash another Life—Recycle Often and Recycle Right!” and incorporate small acts that increase the number of recyclables put to reuse. All 12 winners received gift baskets with art supplies and eco-friendly merchandise, and the first through third place winners earned a collective $1, 800 for their schools! There a number of different waste treatment technologies for the disposal, recycling, storage, or energy recovery from different waste types. Each type has its own associated methods of waste management.